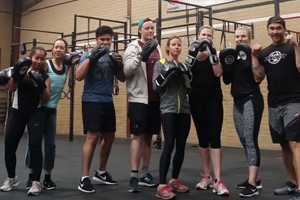 The Kick Pad™ Instructor Course is the third of Punchfit®'s specialist Personal Training Courses, with the addition of kicking skills, evasion and fitness drills in dynamic pad work outs. 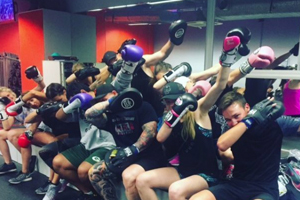 Effective pad techniques for structuring your own authentic kickboxing pad work combinations suitable for P.Ts - right up to ring fighters. 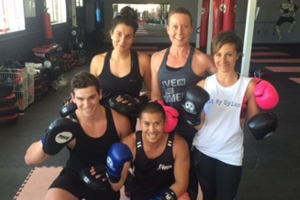 Builds on the skills gained in the pre-requisite Punchfit® Trainer Course Level 1. 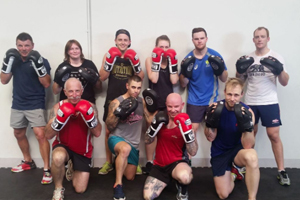 RECOMMENDED FOR: Personal Trainers who want to teach advanced Kick Boxing pad work, through to a full-time specialist Instructor level of competency. Great course, great instructor worth the 4 and a half hour trip and worth the money. The kickpad course will give you the skills to devise your own 1 on 1 kickboxing session with thai pads executing round kicks, push kicks, punt kicks, 6 basic punches and knees.The kickpad course gives you combinations and structured class formats with thai pads and also the Punch Equipment Man Shield which gives you great knowledge to train group classes to ensure the maximum fitness workout is produced while executing fun, safe kickboxing techniques. 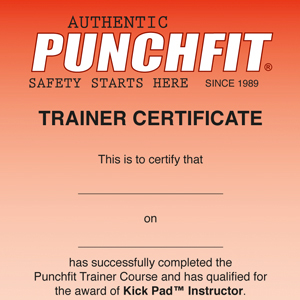 The Kick Pad™ Instructor Course is the third of Punchfit®’s specialist Personal Training Courses, with the addition of kicking skills, evasion and fitness drills in dynamic pad work outs. How to spot poor technique and how to correct it.